It’s always a relief when a title is released publicly! 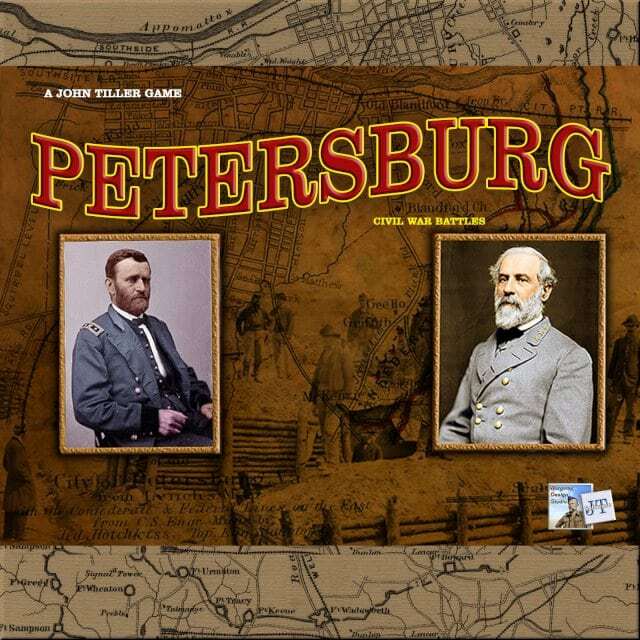 Campaign Petersburg is the latest game in the Civil War Battles series and has been a labour of love for designer Rich Walker for the last couple of years. Rich now has seven of the thirteen released titles to his name and has been a key driver of the game series. 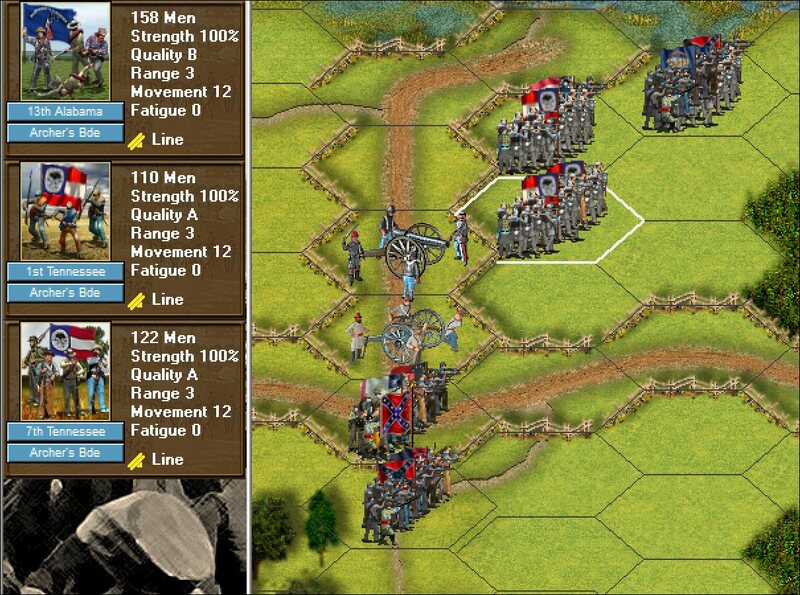 Campaign Petersburg is the first Wargame Design Studio release and includes a range of enhancements over the previous titles. 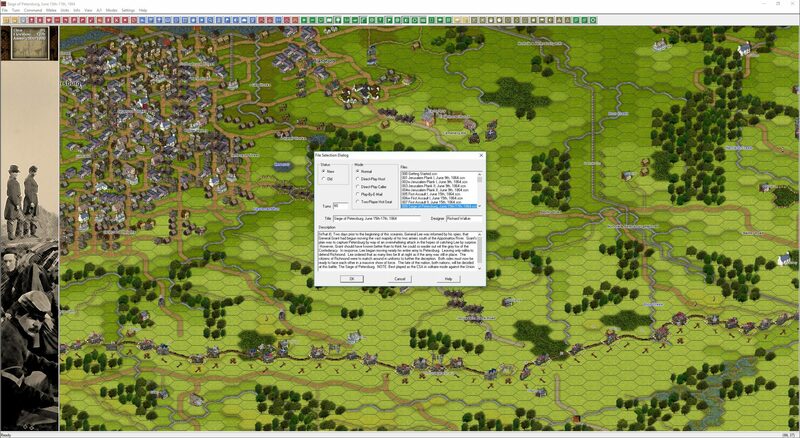 Berto our programmer has bought across a lot of the user interface changes that we have enacted in Panzer Battles and the new toolbar icons and shortcut keys will be some of the big changes. 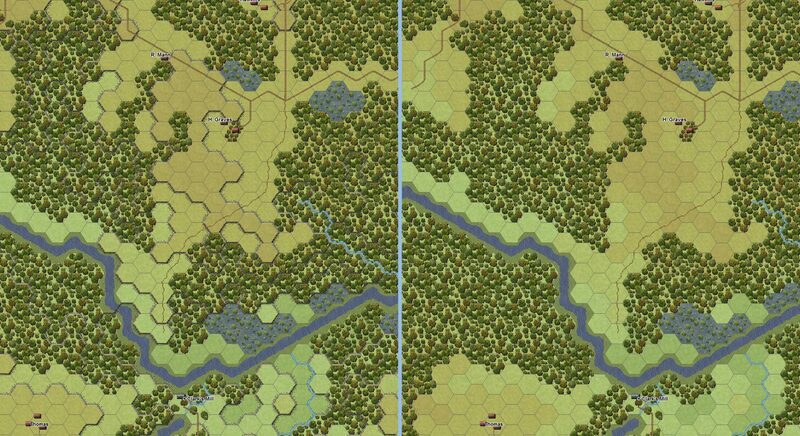 Frank Mullins of Old banshee fame has provided all his beautiful 3D maps and fantastic 3D units. The new 3D maps make a difference and are a joy to play on. The downside is that the installation file is much bigger at approximately 1.7 Gb but a smaller download at 400 Mb is available for those on slow connections. Just request a link from JTS Support. Frank’s 3D units are also great. 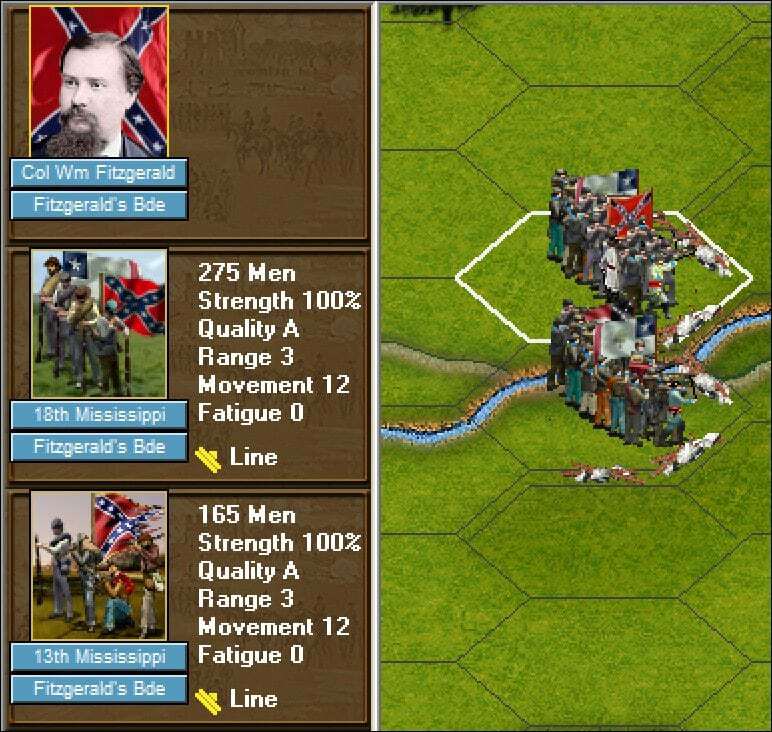 This was the largest delay in the game over the last six months as generic flags and graphics were used for most formations. Frank provided regiments historically specific uniforms and flags that show up on map and in the new coloured unit cards. This required every OOB to be updated with the new unit id’s to allow the new graphics to show in game. We’re very happy with the end result. The unit cards are also able to be changed between the new coloured images and to the more traditional period black and white photos. Many of these items can be changed under settings or via the extra icons on the new tool bars. 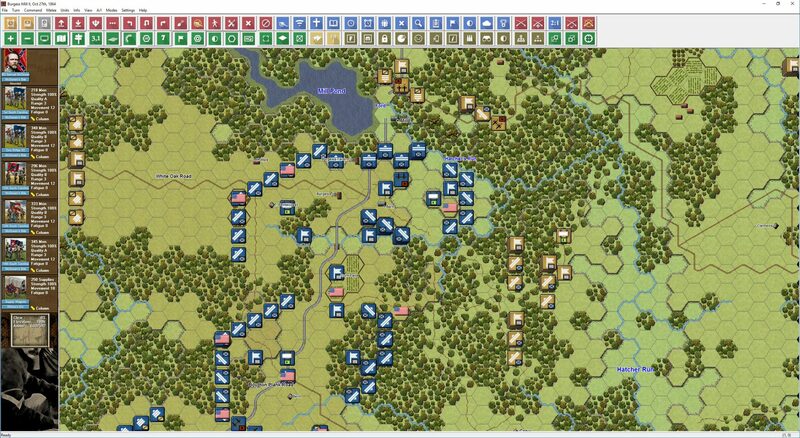 The game includes 175 playable scenarios, 17 order of battle scenarios and 3 campaigns. 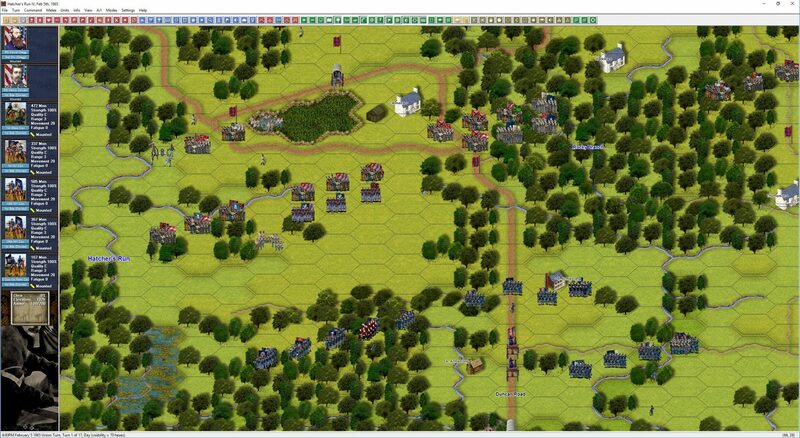 The campaigns include the almost one year of fighting between June 1864 and April 1865.
the 2 d counters are new. Is there an option to use the old style? Not exactly. You would have to mod them in. If you have a previous title you should be able to replace the new counter graphics.. Just make a backup before doing it. 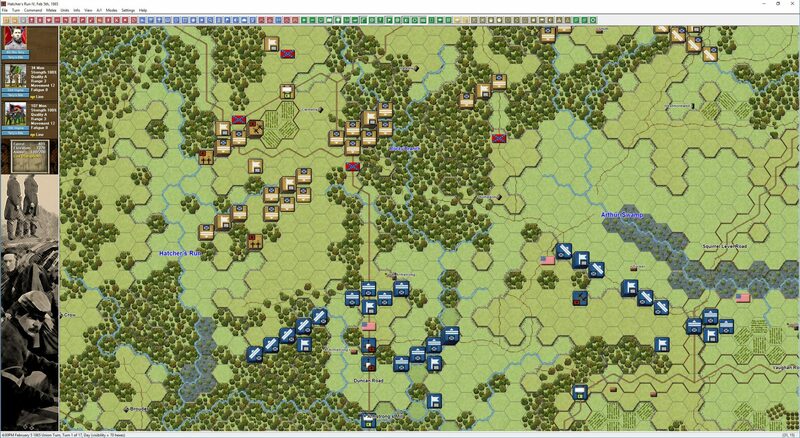 Note that if you substitute the old style 2D counters, you will need to prepare a new 4X set (double the size of the previous largest set) for the new Zoom2D100 map view. Just bought Petersburg. Really impressed with graphics update. Love all the changes. I did not doubt I would buy. I might have delayed a bit, but I’ve got the EAW, NB, CW, PB, PC, MC, SB, NC, and AC bug. I’ve got to have them all, every JTS title and now every WDS title. Why? Years after purchasing I still play these games. It is a non-stop love afair! I’m certainly happy to see new titles. Now please, get all these older titles up to snuff! Great addition to CW, I’m looking forward to all the new PB additions in the future. TOAW 4 just came out and its grand, I love it, but I will always love my JTS/WDS more. I’m retired now, and these are my constant companions. Excellent job folks! PLEASE keep them coming!!! Spent a couple of days playing some of the scenarios and had a couple comments. 1) Hate what this does to the older titles, they are not looking as good now. Shame on you folks. 3) Maps are beautiful, but I found at least one scenario, “007 Fist Assault II, June 15th, 1864”. 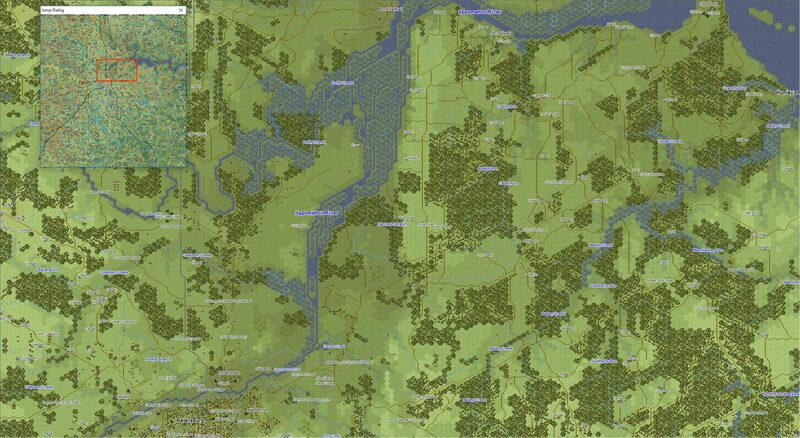 It uses the old style graphics map, and its an eye sore. I checked a lot of scenarios and they all use the new, so did this one just get missed? Of course, still playable, just a shock to the eyes. 4) The artwork is top notch. Boy I sure wish the info panel was scalable for the higher resolution monitors instead of locked to a size that will fit lower end monitors. Still very readable and not an issue, yet!!! Someday that text is going to be very small indeed. 5) Toolbar is PB quality and very handy. The extra info it gives you on the map is greatly appreciated. 6) I’ve got all the other CWB titles, knowing one day, I hope, this update will visit them. However, I’ve not heard a word on the NB titles. Is the poor Napoleonic armies and maps going to get some special love? PS: Sorry, forgot to mention the work on the scenarios themselves. Studied a lot of them and very impressed with OOB and the scenario design as well. That is critical to play, not eye candy, which I like too. But it exceeds my expectation, to notch work to those who put it together!